Born in Osaka Prefecture in 1982. Lives & works in Iga-shi, Mie Prefecture. 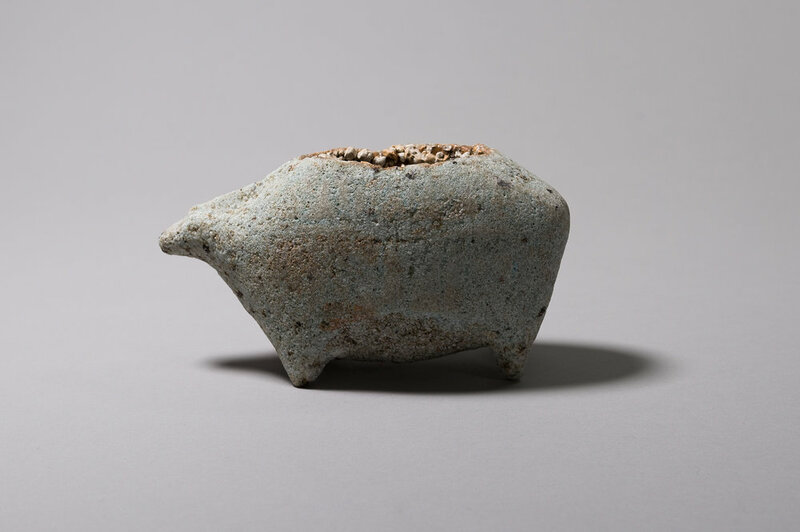 While at University, Masaomi Yasunaga established his creative direction at the laboratory of Satoru Hoshino, a second-generation proponent of the avant-garde ceramic group “Sodeisha". Yasunaga’s inventive works extend the lineage of Sodeisha’s challenge to the presumed functionality of ceramic and advance it’s sculptural directive. In an article written for The Japan Times, Robert Yellin wrote of the Sodeisha group (1948-1988) philosophy that: "They had as their unwritten laws that they would not submit work to official exhibitions, to avoid being judged on others’ criteria, and not to copy antique wares of the past. That was the basic credo, quite bold and naive. A major hurdle in the beginning, believe it or not, was whether or not the mouth of a work should be closed or not- if left open it gives the feeling of a common vessel, and thus to close it was the only way to have it taken seriously as ceramic sculptural art". Initially, many of Yasunaga’s works referred to classic, functional pottery forms such as vessels and plates. Feeling that with new life or death, comes a moment when many things may change, Yasunaga responded to the passing of his grandmother ten years ago with burned white porcelain objects and shells, which allude to emptiness, loss or mere shadows. These existential ideas remain present in his current work, while the material processes and forms have evolved. Yasunaga's recent works, technically cannot be categorized as ceramic, as there is no clay present in his finished forms. Unlike pottery, usually made of clay with glaze as a finishing surface, Yasunaga sculpts glaze as the primary material of his objects, which are pit-fired buried in sand, combined with unique raw materials such as feldspar, glass and metal powders. The viscous glaze melts, collapses, and aggregates with these materials, hardening to stone-like consistency after the kiln. 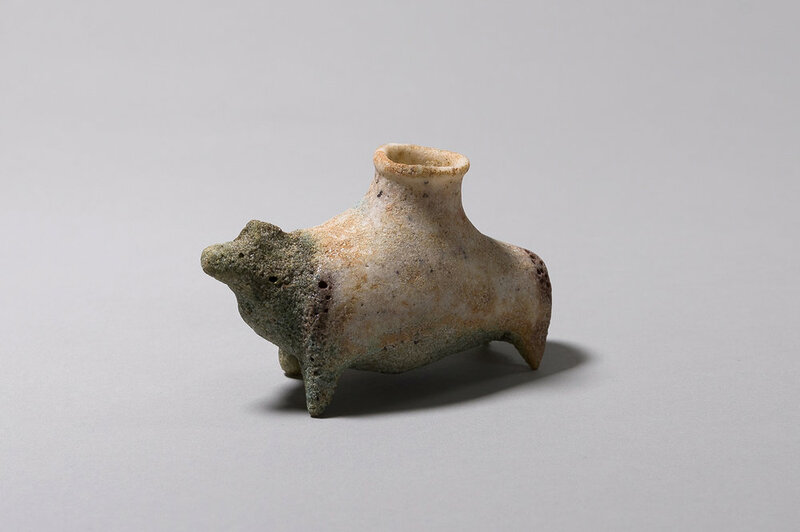 The resulting objects, mostly non-functional vessels, shells and empty containers, often have the appearance of lost and found archeological relics. Three years ago, upon the birth of his eldest son, Yasunaga began to hybridize his empty container forms with depictions of animals from around where he was born. 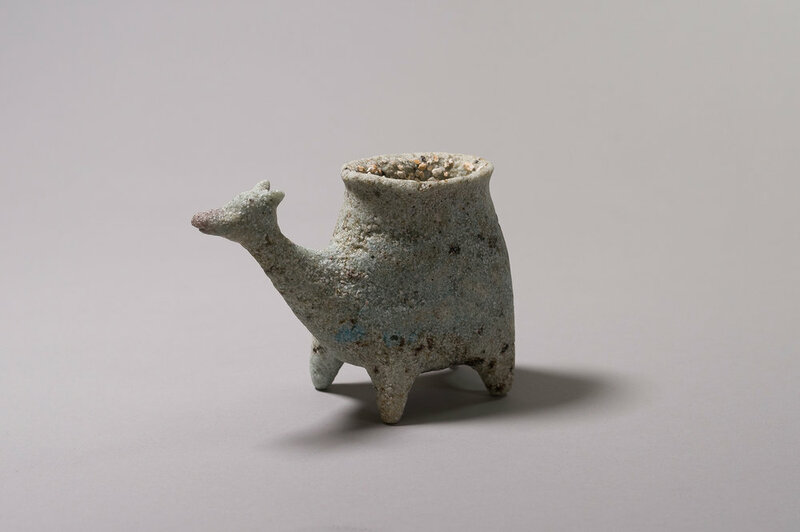 Rendered in Yasunaga’s earthen materials, these “Empty creatures” conjure associations to numerous histories and places, and collectively form an unlikely geologic menagerie.